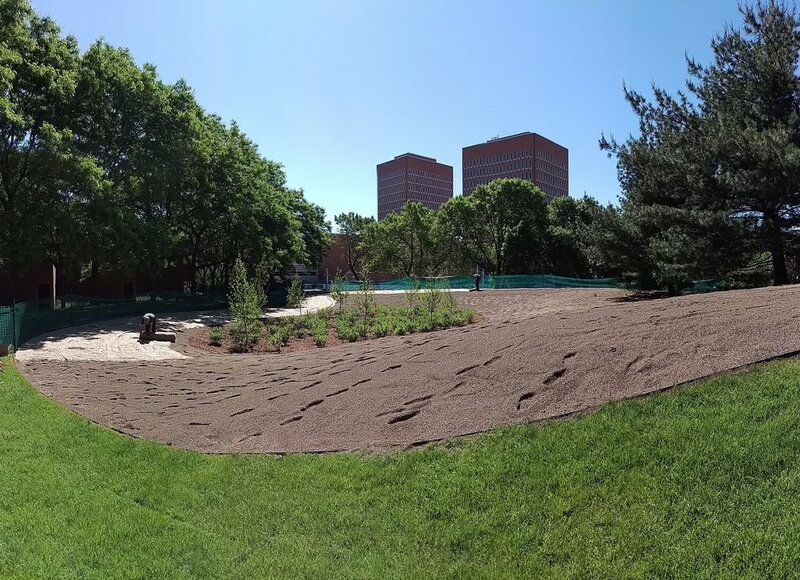 Constructed in 2016 on the University of Minnesota campus, this project replaced over an acre of conventionally managed turfgrass with diverse meadow plantings and created a comprehensive surface water collection and infiltration system. 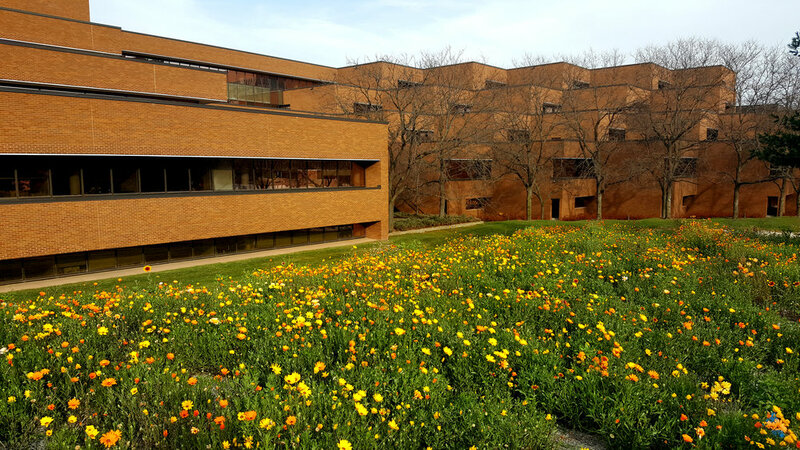 The site is heavily constructed with underground vaults, extensive primary utilities, and concrete-like soils which presented many design and construction challenges. 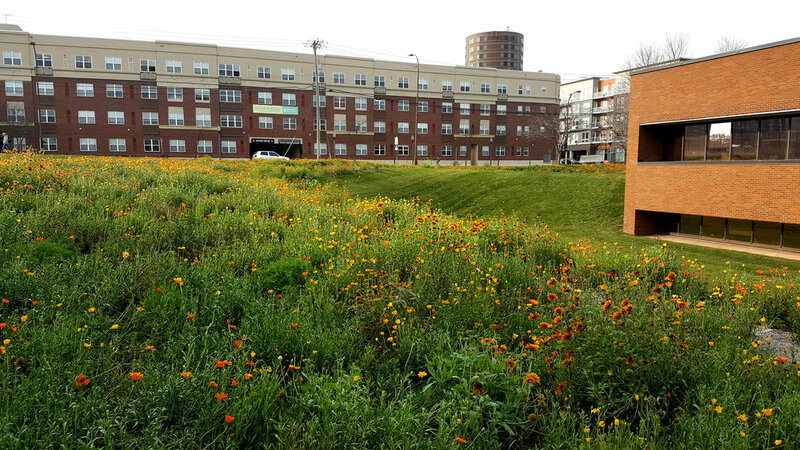 A series of soil restoration and water movement strategies were developed to create the foundation for a dynamic, living landscape. Today, this landscape greatly decreases management requirements, contributes considerable habitat for local animals and insects, and creates a distinct naturalistic atmosphere in an otherwise heavily urbanized location.